The Gila County Teen Pregnancy Prevention Program, in partnership with Gila County schools work with youth in Gila County to equip them with information and resources needed to gain important life skills and successfully transition into adulthood. Our free classes provide parents with the knowledge and skills they need to encourage their youth to say “no” to risky behaviors and “yes” to healthy decisions and a successful life. Students and parents are provided with evidence-based curriculum proven to equip and strengthen lifestyle choices aimed at healthy living for both the youth and their families. Our program provides the following programs/classes in schools throughout Gila County. Reducing the Risk® is an evidence-based curriculum that teaches high school students interpersonal and social skills they can use to abstain from sexual activity or protect themselves from disease and/or pregnancy. Wise Guys® is an evidence-based male-oriented teen pregnancy prevention program that is interactive, fun, and informative. This approach has proven to be effective in helping male adolescents make wiser and more responsible decisions. Our program facilitates this throughout Gila County to 7th - 8th graders. Smart Girls® provides young girls with information and skills necessary for them to become empowered young women who are ultimately happy, healthy and successful in life! Our program facilitates this throughout Gila County to 7th - 8th graders. Your childs body is developing at a rapid rate and it might often seem difficult to speak with him or her about adolescent development. Our program facilitates Always Changing throughout Gila County to 5th graders. Raising children in today's uncertain and dangerous world can be a daunting task. Children are susceptible to so many forces around them, and they can be lost in the chaos without a strong parent(s) to guide them. Our program facilitates Active Parenting of Teens semi-annually to parents of teens throughout Gila County. Here is a short video explaining the importance of consent. Teen Pregnancy Prevention is a state-wide grant funded program made available by Arizona Department of Health Services (ADHS). 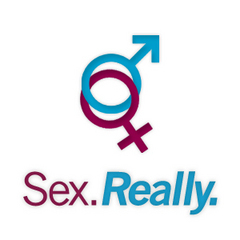 Below are additional links for parents and teens to stay informed about teen sexual health.